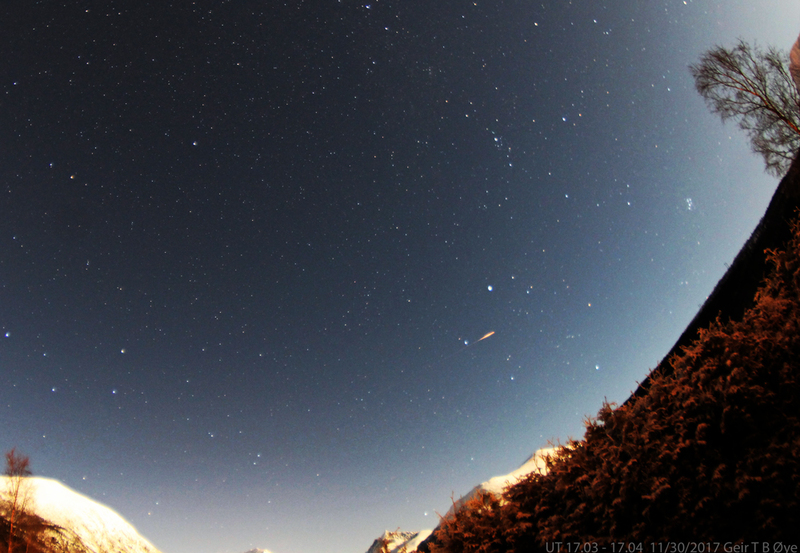 Bright meteors on a bright moonlit sky. November 30, 2017. 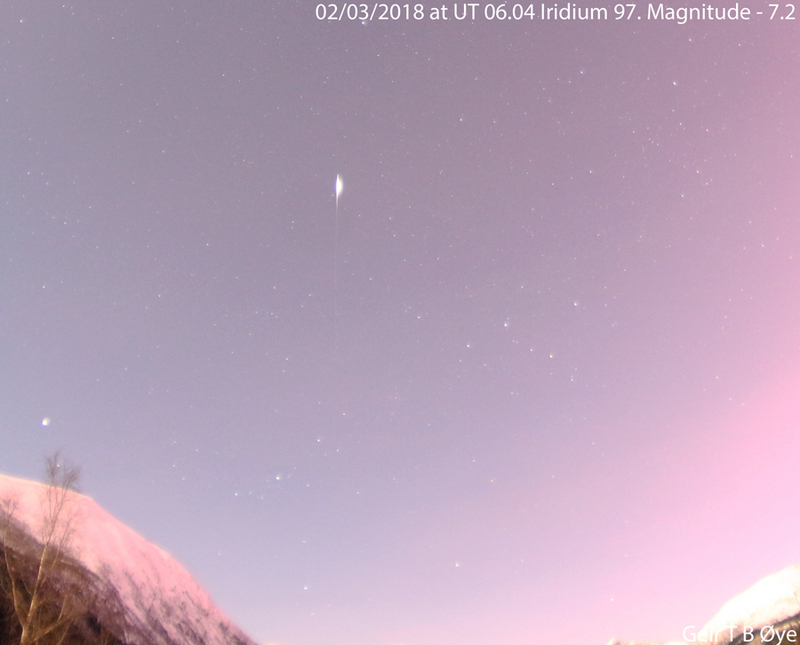 This bright meteor showed up at about UT 17.03 on November 30, 2017. 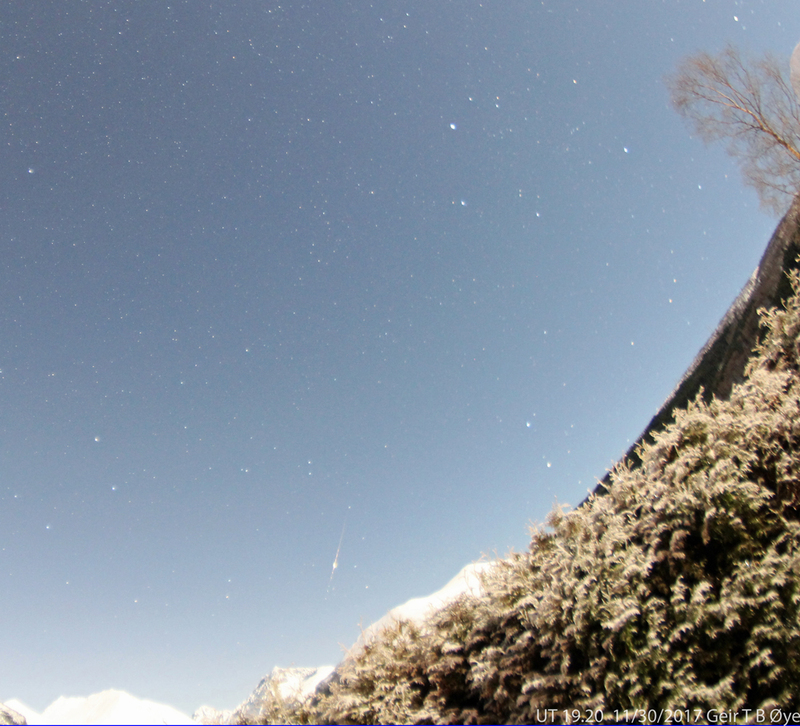 Photo details: Canon EOS 1300D, Vivitar 8 mm fisheye-lens, Exp: 59 seconds, ISO: 1600. Cropped version of the above. 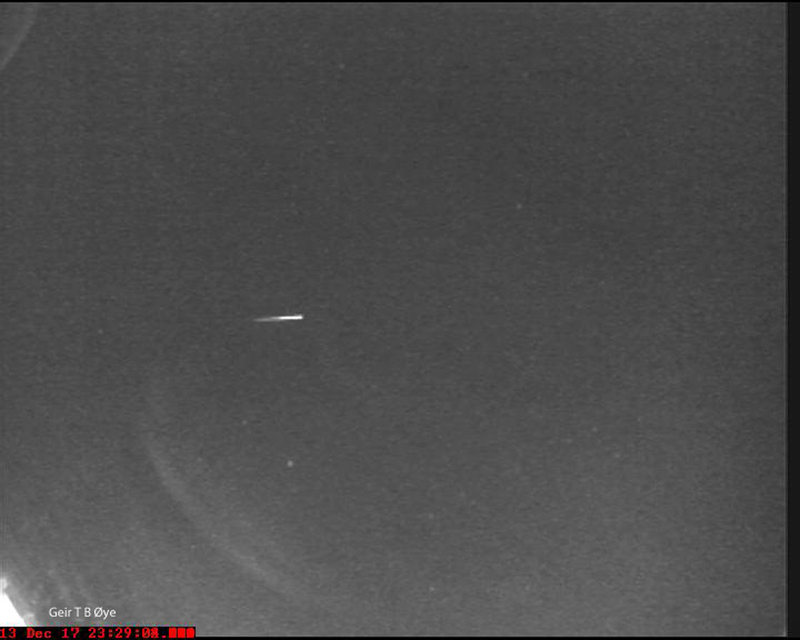 Bright meteor number 2 this night. 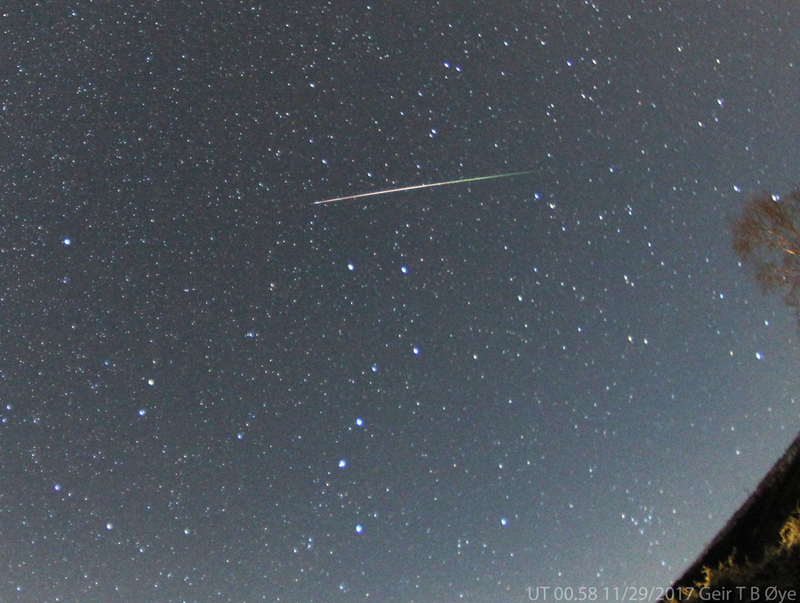 This one is photographed at UT 19.20 (20.20 local time November 30, 2017. Same equipment, exposure, ISO, and location. 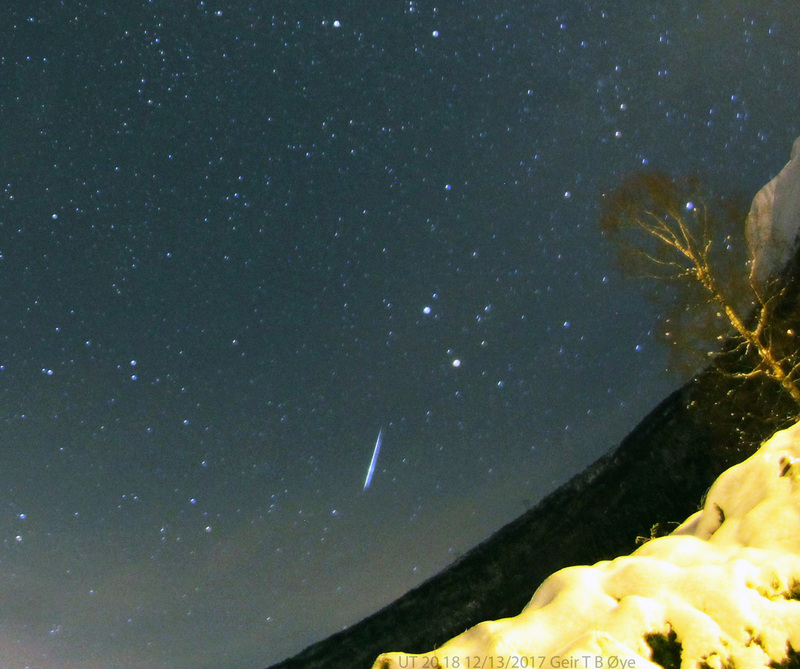 This entry was posted in Astronomy on December 1, 2017 by admgeiroye. Meteor above the valley. 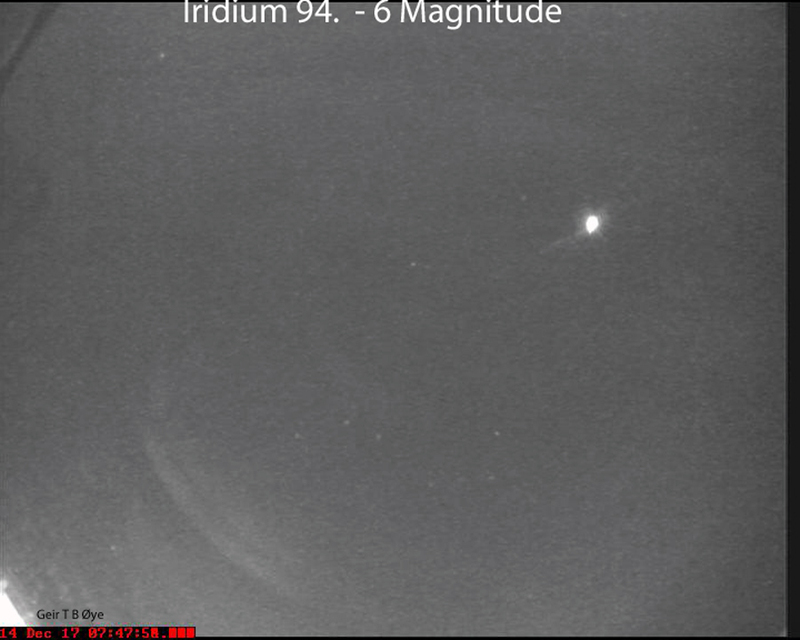 Photo taken at about UT 00.58 on November 29, 2017. 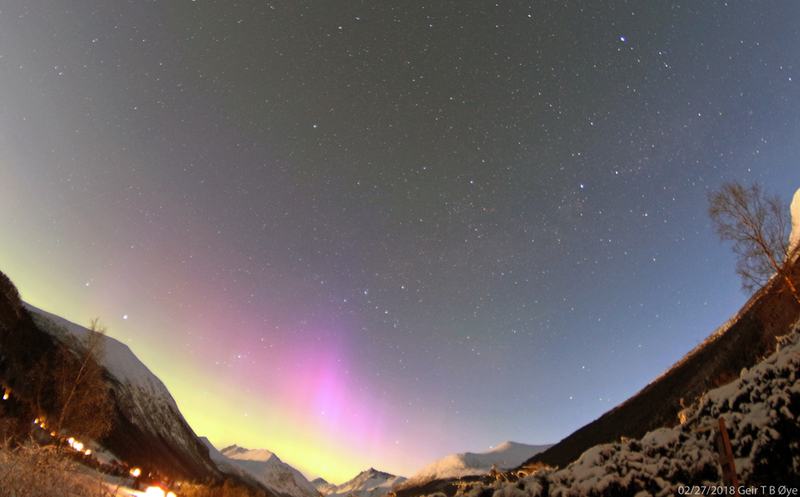 Taken through a 8 mm fisheye lens, Canon dslr. A cropped version of the image above. 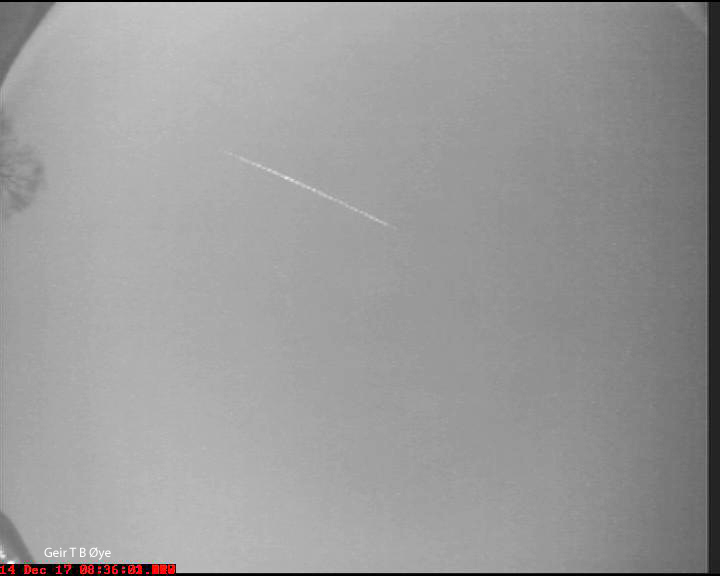 The meteor was also captured by my MallinCam All Sky Camera. This entry was posted in Astronomy on November 29, 2017 by admgeiroye. 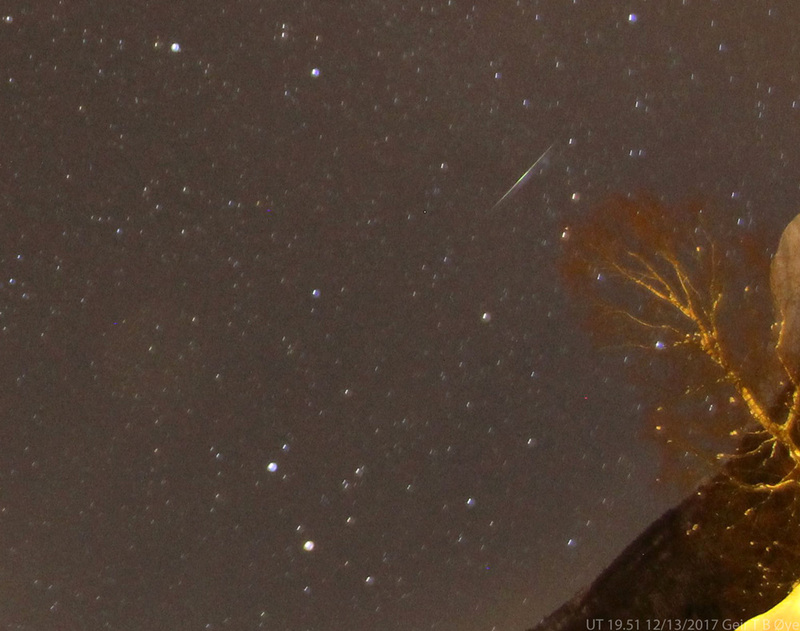 Bright meteor – Orionid. October 23, 2017. 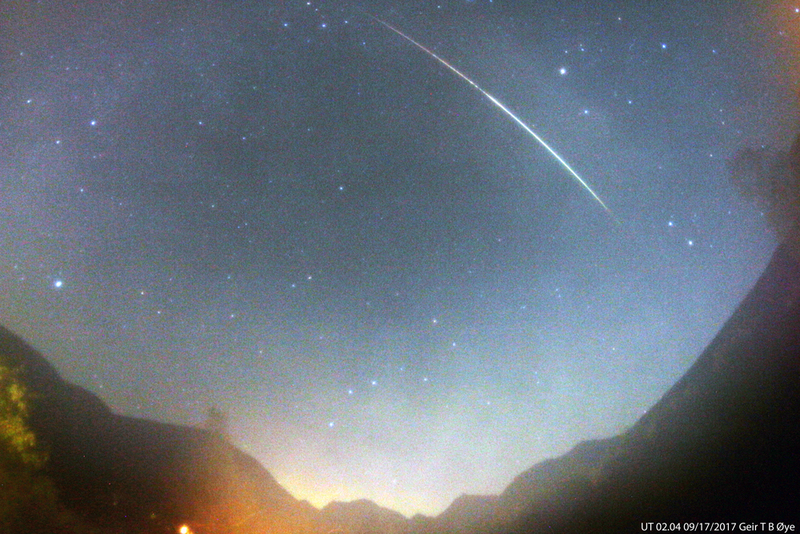 A meteor from the Orionid meteor shower traversed the sky over the valley. 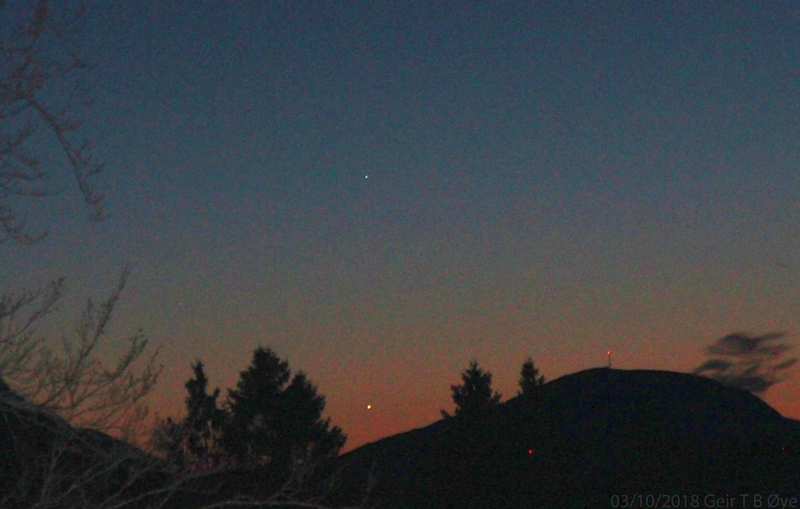 The Hunter (Orion) himself was located behind the mountain. 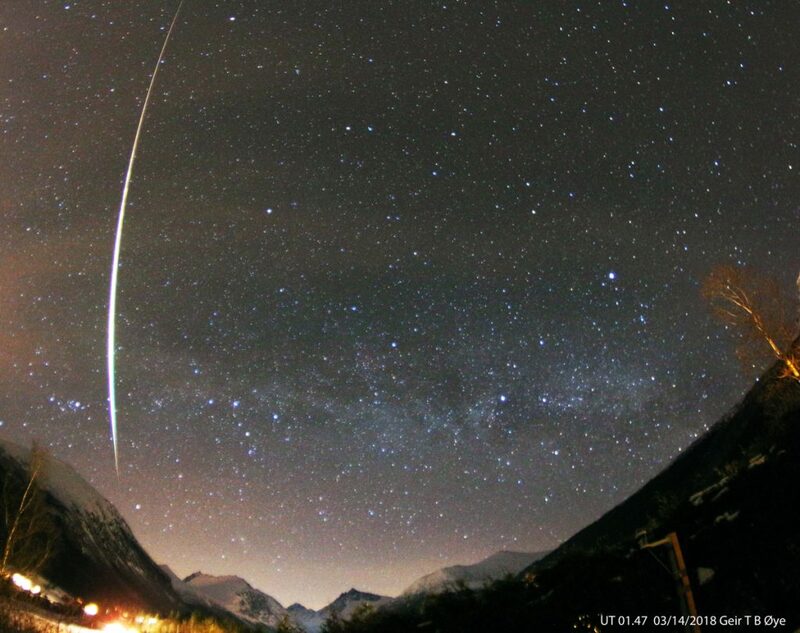 The direction of the meteor indicates that it is a leftover from Halleys comet. 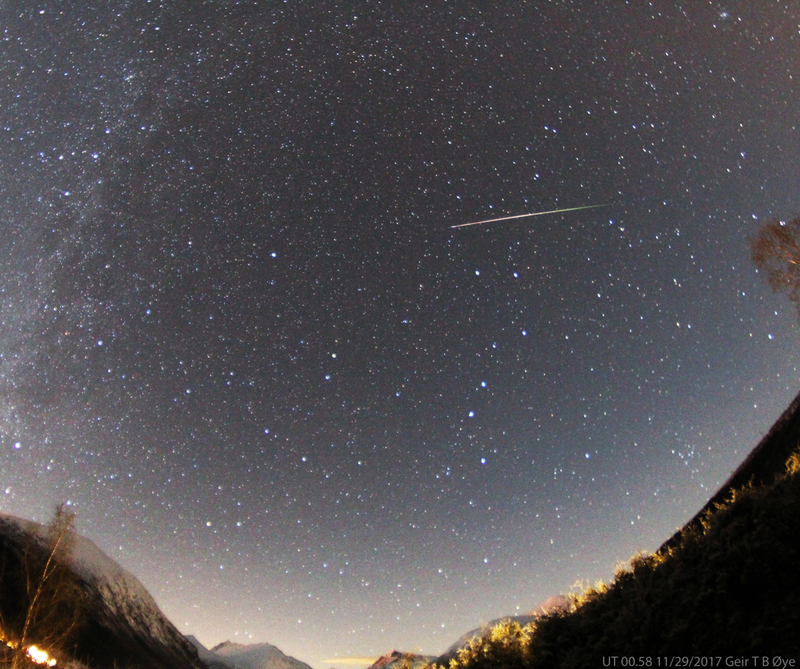 This entry was posted in Astronomy on October 23, 2017 by admgeiroye. 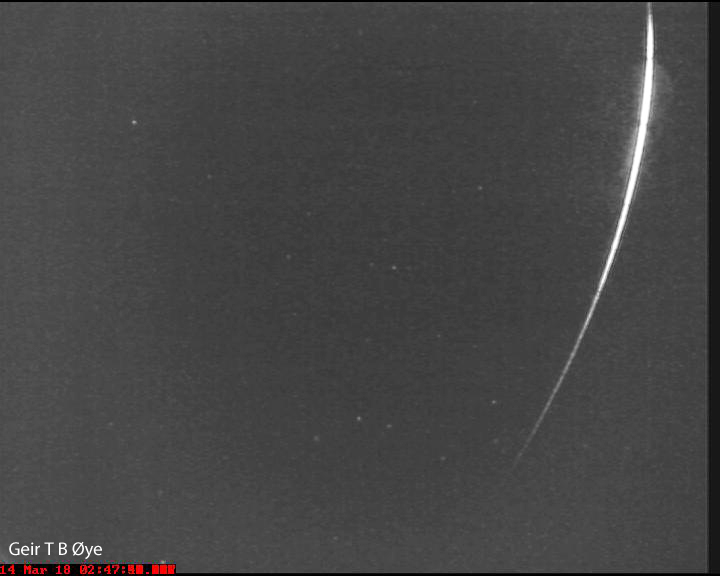 Fireball / Bright Meteor September 17, 2017. This fireball streaked the sky over the valley at about 04.04 (UT 02.04) on September 17, 2017. 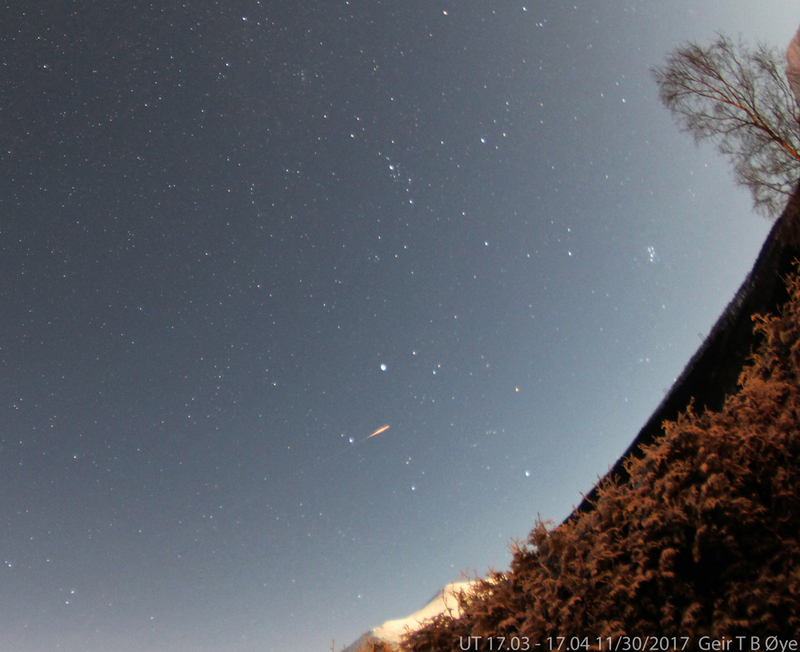 Photo details: Canon 650D, Vivitar 8 mm fisheye-lens, ISO: 800, EXP 59.2 seconds. Unfortunately, some dew on the lens. Location: Ørsta, Norway. 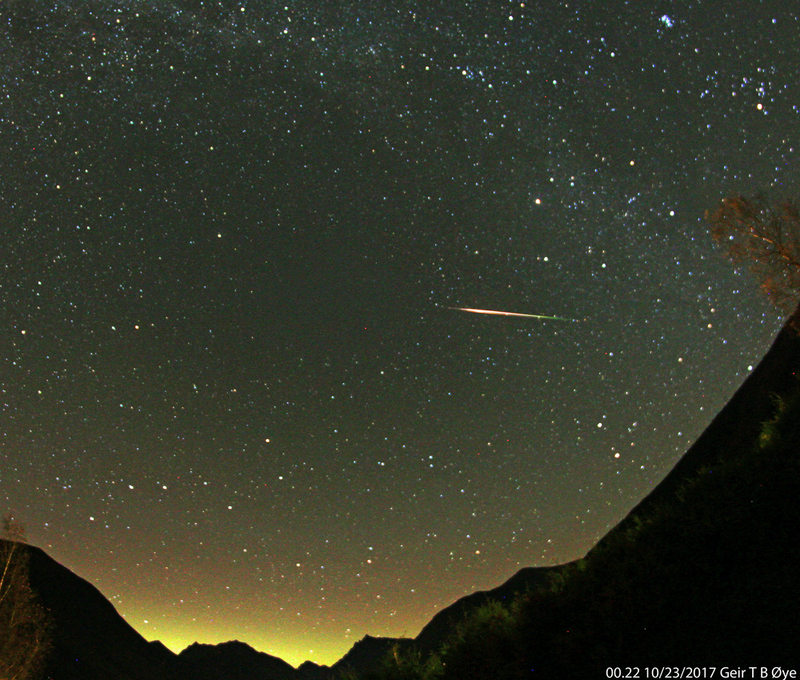 This entry was posted in Astronomy on September 17, 2017 by admgeiroye. 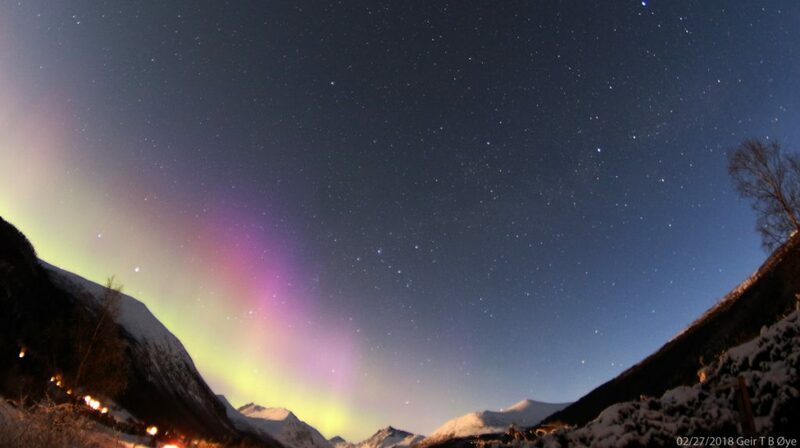 The northern lights over the valley. 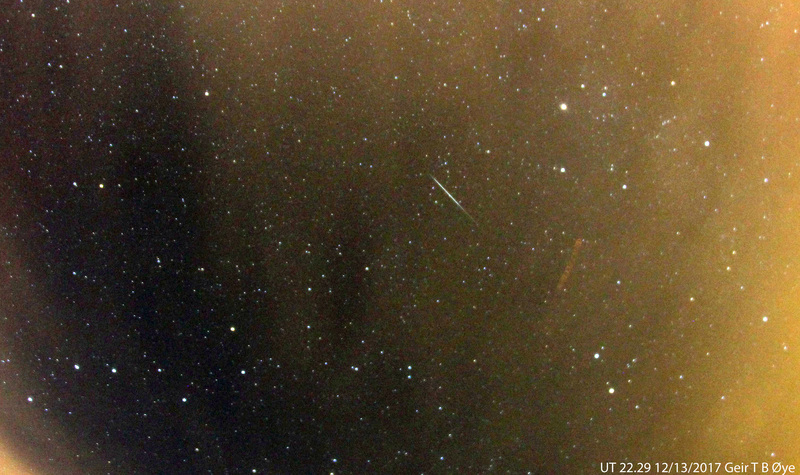 From my vantage this was a brief display on a moon bright sky. 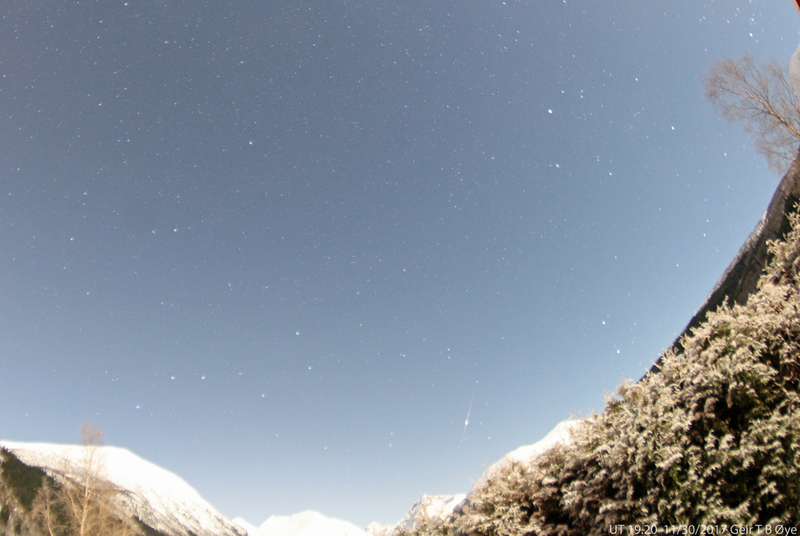 Photo details: Canon 650D, 8 mm fisheye lens. 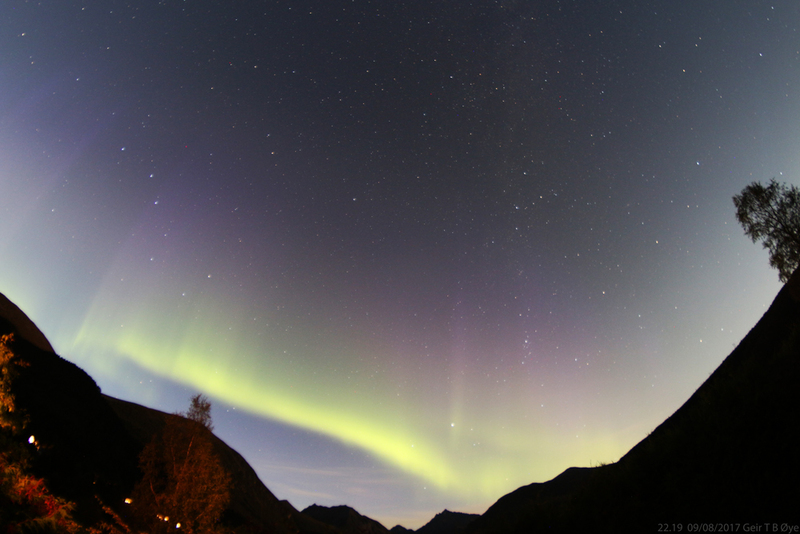 Local time 22.22 on September 8, 2017. 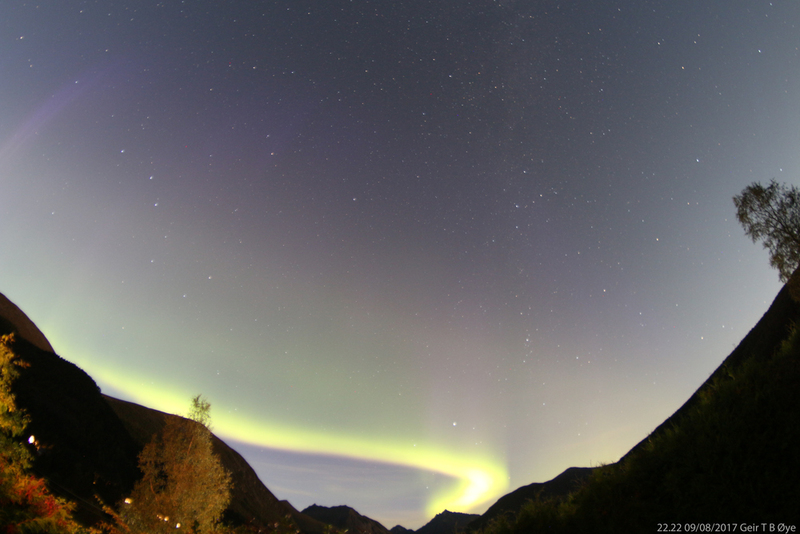 Photo taken at about 22.19 September 8, 2017 local time. 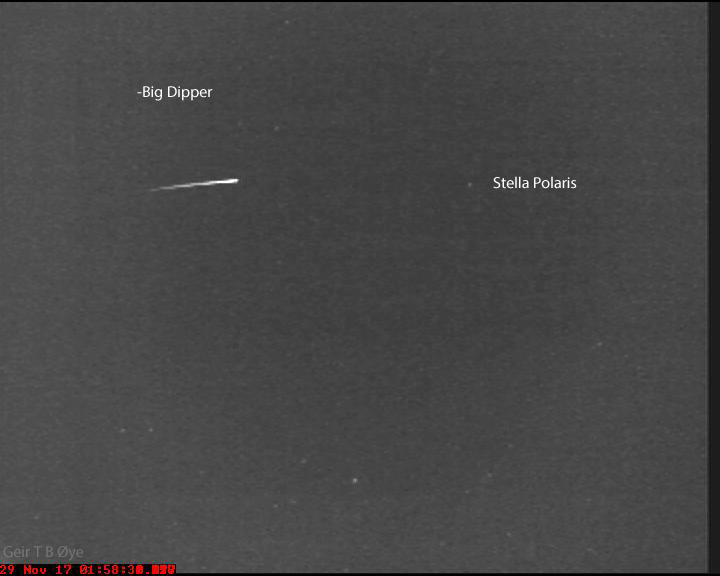 This entry was posted in Astronomy on September 9, 2017 by admgeiroye.